A uniformed man tries to control crowds attending the funeral procession for Kim Jong Il in Pyongyang. Kim Jong Un saluting during his father Kim Jong Il's funeral at Kumsusan Memorial Palace in Pyongyang. 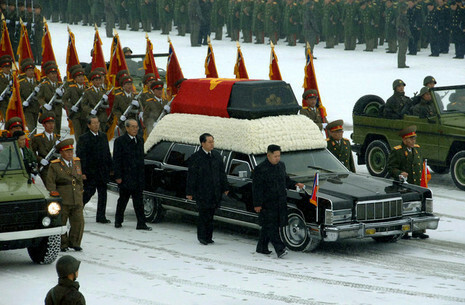 The earliest pictures showed a parade of soldiers outside Kumsusan Memorial Palace bowing as a limousine bearing a giant portrait of Kim led a hearse with his coffin mounted on its roof. 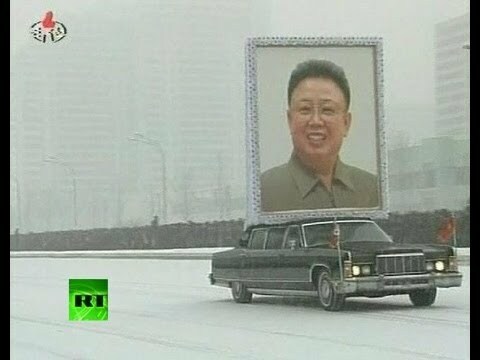 Today, mourners commemorated the death of North Korean leader, Kim Jong Il with a funeral procession across the snow-laden streets of Pyongyang. 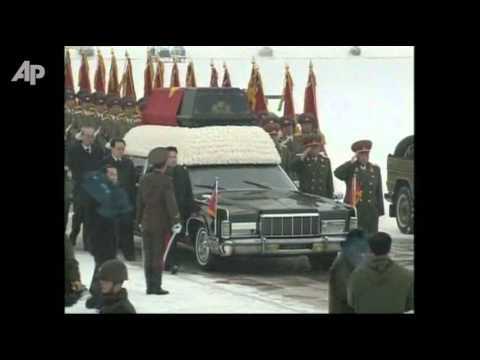 Since his death earlier this month, Kim Jong Il's body had been lying in the Kumsusan Memorial Palace.